The Illinois State Library became a U.S. Patent and Trademark Depository Library in January 1984. 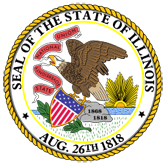 In this capacity, the library offers materials and services important to both Illinois state government and the citizens of the state. 1. Flyer on the United States Patent and Trademark Depository Library Program (lda791.pdf).